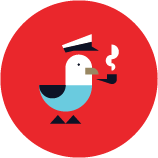 Have we mentioned lately how much we love hearing from boaters? We were delighted when Rob R. from Stuart, Florida emailed to ask us which harbors have golf courses close by for when he brings his 64' Viking Sportfish north up the coast this Spring. In this post: our quick list of golfer-friendly Dockwa marinas! The U.S. Open returns to the East Coast this weekend, which has boaters everywhere thinking of hitting the fairway. 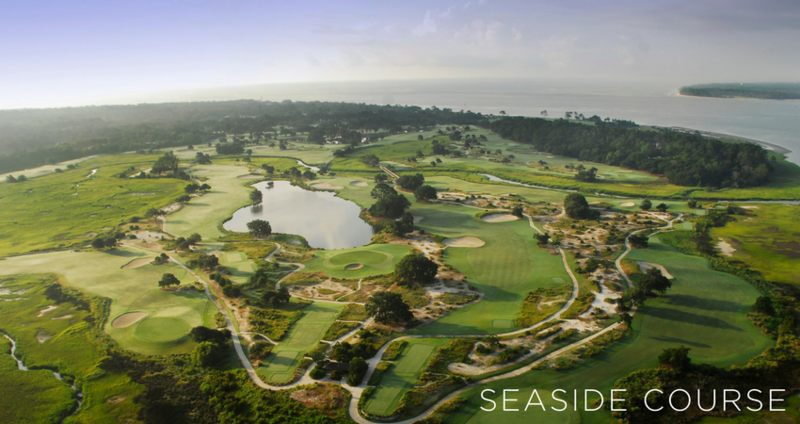 This year's tournament will be played at Shinnecock Hills Golf Club in Southampton, New York, a beautiful area in Long Island. This year marks the 123rd anniversary of the U.S. Open, which got its beginnings in our hometown of Newport, RI in October 1895. Since then, the tournament has turned into one of the most prestigious titles a golfer can win. 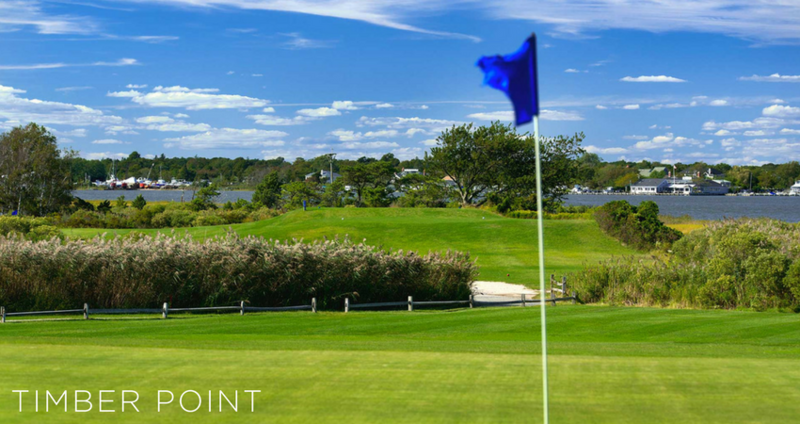 If you're heading to the U.S. Open this weekend or simply looking forward to docking your boat for a round of golf somewhere on the Eastern Seaboard, check out these great locations to tie up and tee off. Good luck to all the golfers taking part in the U.S. Open this weekend! 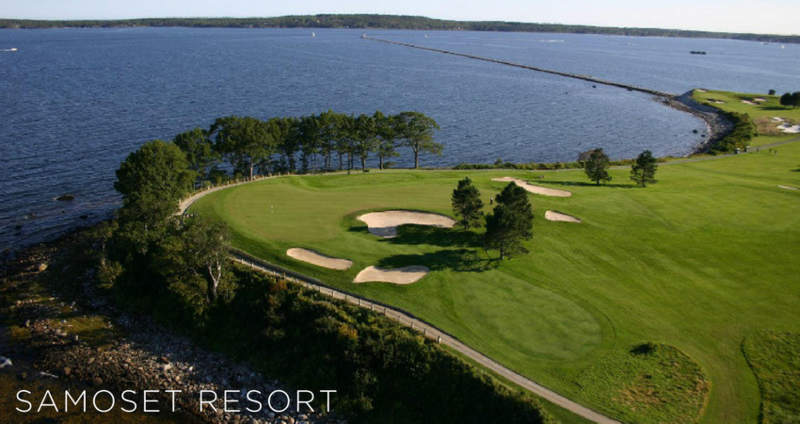 Tee Off: Originally created with only 9 holes, the historic Samoset Resort dates back to 1889. The course was rebuilt as an 18-hole facility in the 1990s by Robert Elder, and more recently renovated by Jeffrey Cornish to the seaside beauty golfers experience today. 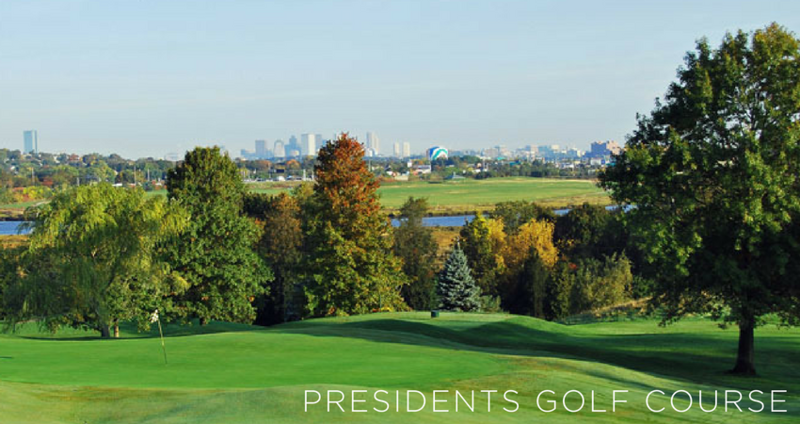 Tee off at The Presidents Golf Course in Quincy, MA, which sports five par 5s and par 3s respectively as well as a lovely vantage point of Boston's cityscape. Golf Digest rates it #1 in the state, and with a nearby slip you'll get the best of both worlds during your Boston stopover! Tee Off: Founded in 1898, the Shennecossett Golf Course was originally built with four-holes, but was later redesigned to reroute and add holes to take advantage of the water views. Now golfers can enjoy views of the Thames River and Long Island Sound from the 16th and 17th holes. 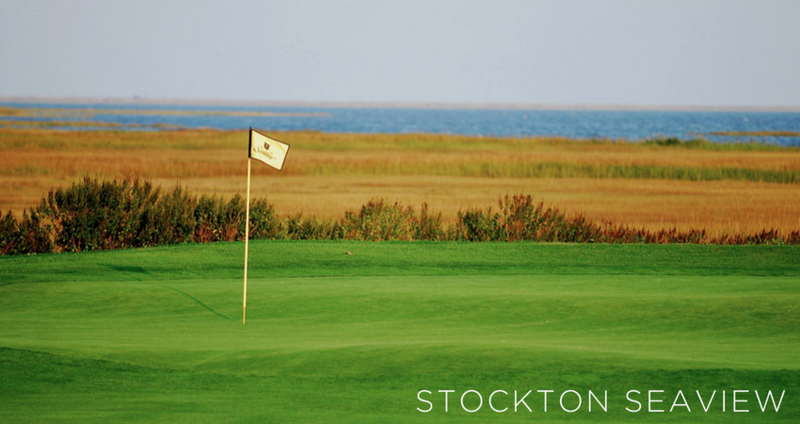 Tee off at the Stockton Seaview Hotel and Golf Club in Galloway on the New Jersey Shore is minutes from Atlantic City. Of the two historic courses there, the Bay Course is home of the ShopRite LPGA Classic, and offers gorgeous water views. Tee Off: The Ocean City area has plenty of golf, but only a few courses have seaside views. Check out the Links at Lighthouse Sound in nearby Bishopville, which offers six sets of tees and views of Ocean City across the bay. 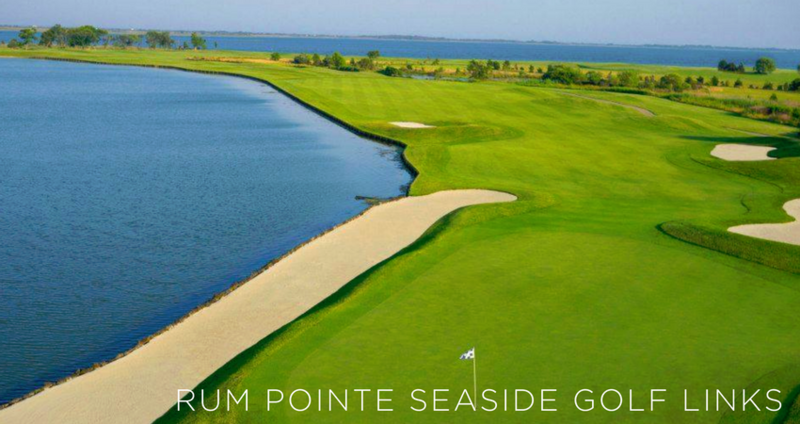 In nearby Berlin, MD, visit Rum Pointe Seaside Golf Links, which overlooks Assateague National Park. Read more about National Parks you can get to by boat! Tee off in Cape Charles, VA on the eastern shore of Chesapeake Bay! Bay Creek boasts two courses designed by golf's biggest names: Bay Creek's Palmer Course, and the Nicklaus Course at Bay Creek. 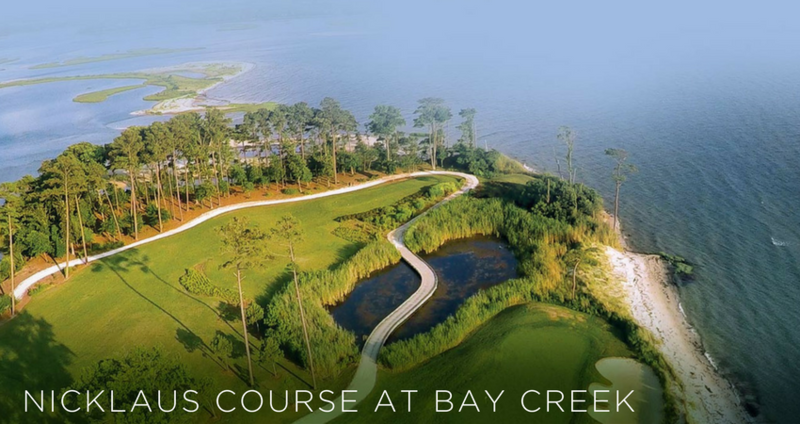 Both courses offer a challenge among the natural splendor of the shores of the Bay. Tee off on St. Simons Island, GA at the King and Prince Golf Course. With ocean views, historical significance, and a high-end resort experience, you'll be golfing in style. 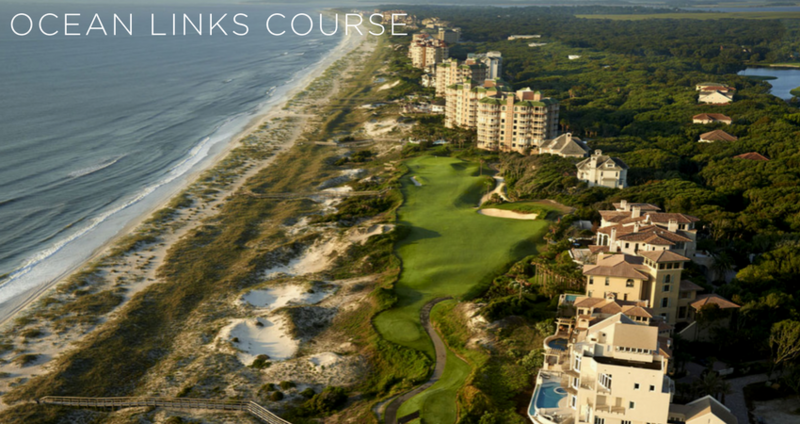 Tee off on Amelia Island at the Ocean Links Course within the Omni Amelia Island Resort. 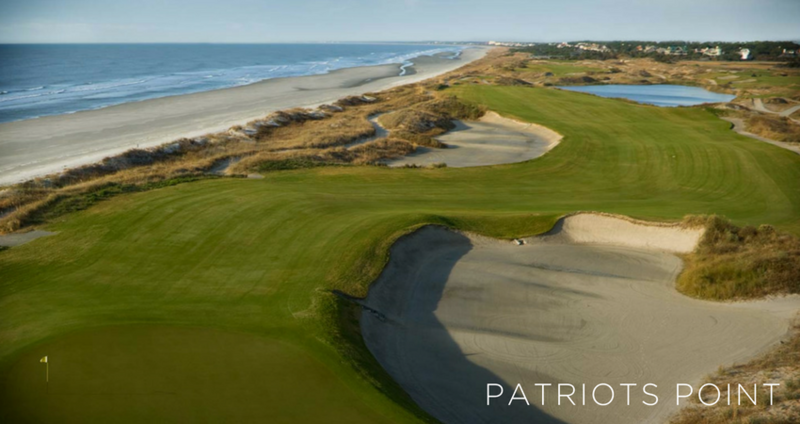 The course traverses through six miles of seaside terrain and natural sand dunes, and links #4, #5, #6, #15 and #16 provide golfers with five oceanfront golf holes. Want to see your favorite Dockwa-convenient golf course on the list? Let us know! 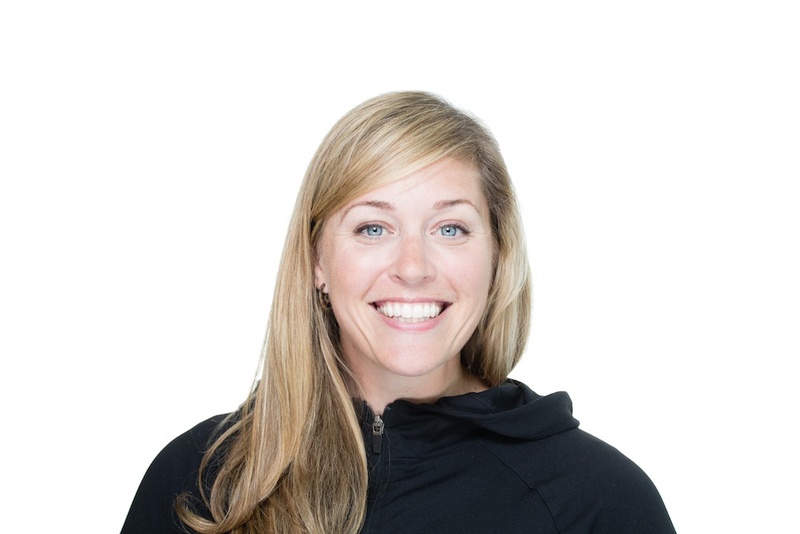 Email becky@dockwa.com, who has literally never golfed a day in her life.